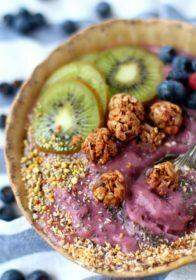 Thanks Van’s Foods for sponsoring this post and helping me create an incredibly tasty breakfast recipe! 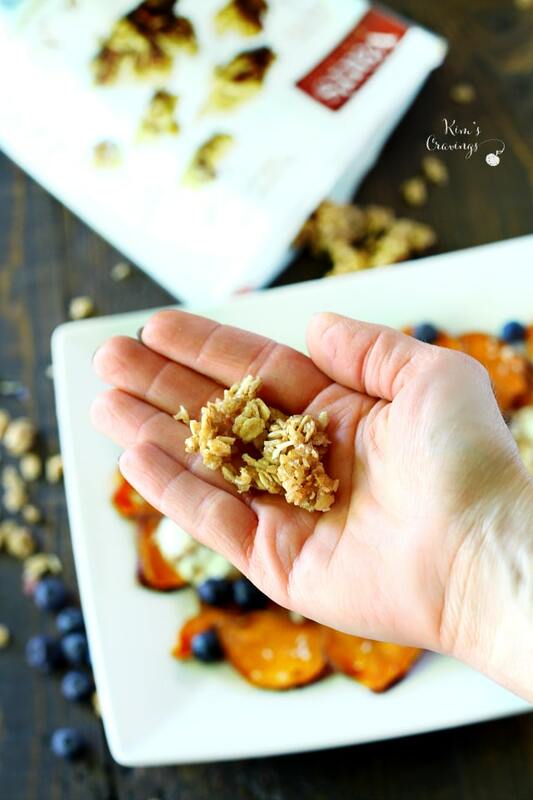 Serving up crispy Breakfast Sweet Potato Nachos with Van’s Soft-Baked Granola- a fun, delicious, nutritious way to start your day! Scroll to the bottom for an awesome Van’s giveaway. 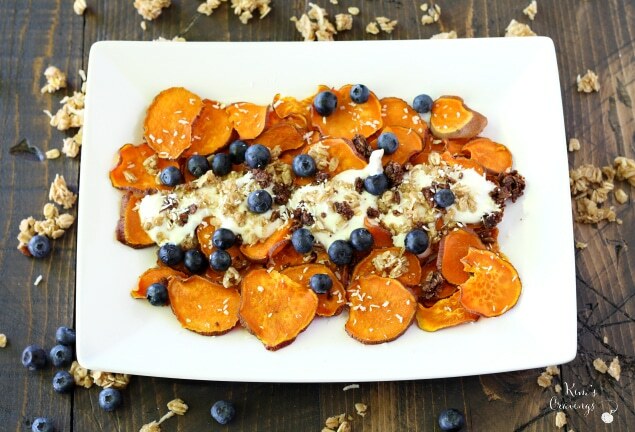 Breakfast Sweet Potato Nachos may seem a little strange, but don’t knock it till you try it. This nutrient-rich root vegetable totally deserves to make an appearance in your morning meal. Sweet potatoes are packed with good-for-you vitamins, minerals and more. They’re rich in beta carotene, Vitamin A and C and one large potato provides 4 grams of protein, 6 grams of fiber, and just over 150 calories. Soft sweet potatoes are great, but these sweet potato nachos are kicked up a notch with a crispness that can’t be beat. 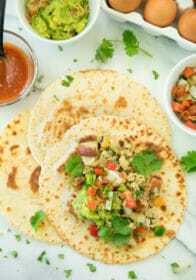 It’s up to you- keep your breakfast sweet potato nachos simple and roast them like normal or follow the tips below (in the recipe card) for crispy, out of this world wonderful sweet potato nachos. 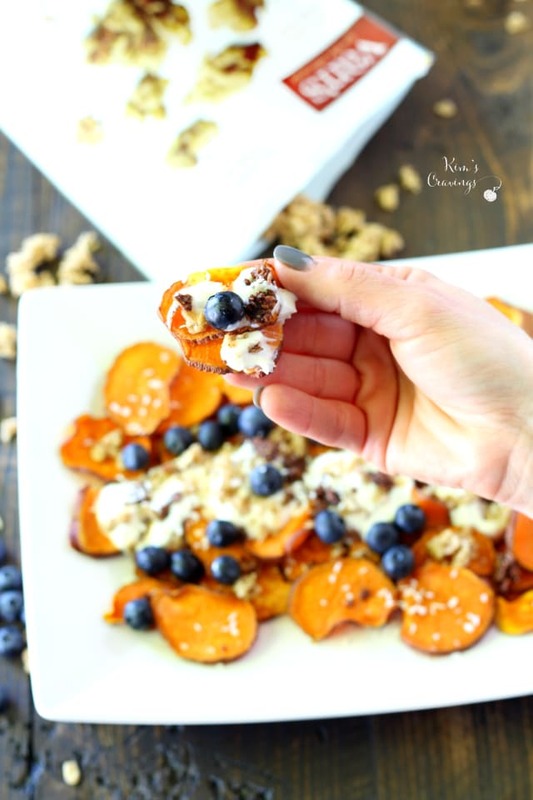 To give these sweet potato nachos extra pizzaz, I mixed Greek yogurt and maple syrup for a topper and added Van’s Soft-Baked Whole Grain Granola, blueberries and unsweetened shredded coconut. Yummo! I’ve adored Van’s Blueberry Walnut Soft-Baked Granola for quite sometime and now they’re offering two new flavors- Banana Nut and Double Chocolate. This stuff is quite addicting! My whole family really loves this wholesome, bite-sized, chewy granola. 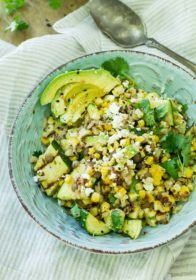 When hunger strikes, it’s the perfect snack to have on hand with 12-14 grams of nutrient-dense, gluten-free whole grains and just 120 calories per serving. The kids pretty much shovel it in by the handfuls! Ha! 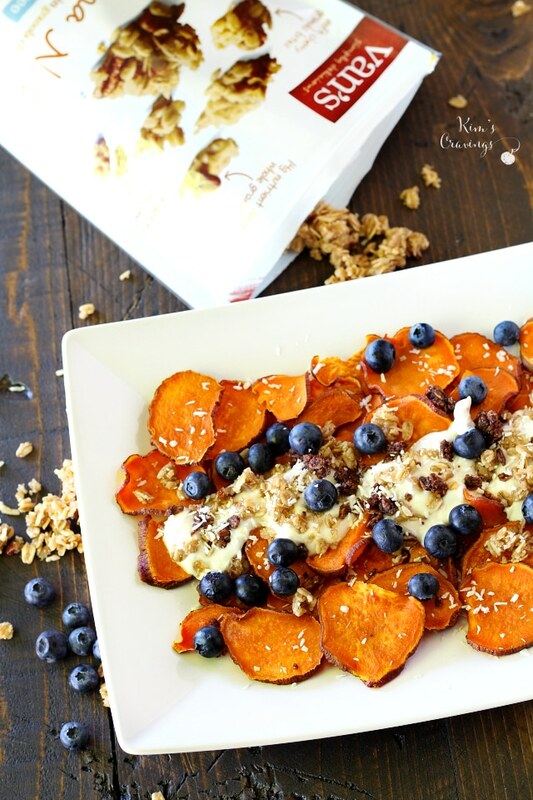 I like serving it up for breakfast with Greek yogurt or almond milk and fresh fruit… and, of course, with my sweet potato crisps. 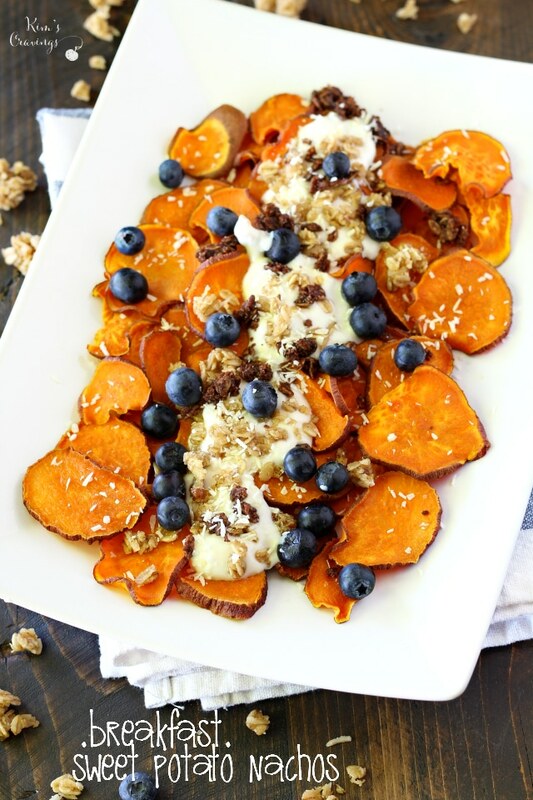 Breakfast Sweet Potato Nachos with Van's Soft-Baked Granola- a fun, delicious, nutritious way to start your day! Preheat oven to 325° F. Line 2 large baking sheets with foil. Use a paper towel or brush to fully coat with about 1 tablespoon olive oil. Evenly slice sweet potato just under 1/8-inch thick with a mandolin slicer or very sharp knife. Place half of the sweet potato slices in a large bowl and toss with a little less than 1 tablespoon oil to coat both sides of every slice. You want a thin coat to make them glossy. Place each slice on the pan without overlapping. The edges can touch but keep them in a single layer. Repeat with the other half of the slices to fill the other pan. Place pans on separate racks and bake for 15 minutes. Switch the position of the pans after 8 minutes. Remove pans from the oven and flip every potato slice, carefully with your fingers. Switch pan position and bake for another 8 minutes. Repeat this process until the edges are curled and their coloring starts to turn a light shade of brown. This will take about 6-10 rounds of baking/flipping/switching pans. Some slices may finish before others. As they start to brown, remove those slices and place on a cooling rack. Top with salt immediately. Continue to bake/flip/switch until all potatoes are finished. Let potatoes fully cool for the crispiest bite (about 5-10 minutes). The slices don’t need to be evenly browned all over. Once they start browning that’s the sign that they’ll be crispy when cooled. To serve nachos; mix Greek yogurt and maple syrup in a small bowl. 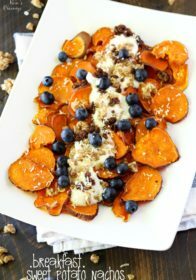 Top sweet potato chips with Greek yogurt mix, Van's Soft-Baked Whole Grain Granola Clusters and other optional toppings. Enjoy! The tips for making crispy sweet potato chips comes from Edible Perspective. 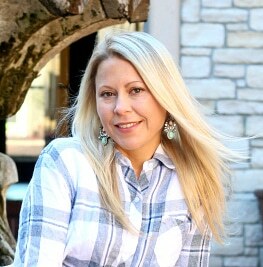 See Ashley's post for even more tips. Excited to give Van’s Soft-Baked Granola a try? Great news! Van’s is so generously offering one lucky reader, 4 free granola coupons (up to $20 total value) plus a Van’s water bottle and tote bag. To enter, simply comment and tell me your favorite breakfast. I’ll randomly choose one winner by the end of the day, Friday, the 8th. Have you given Van’s Soft-Baked Granola a try? What’s your favorite flavor? 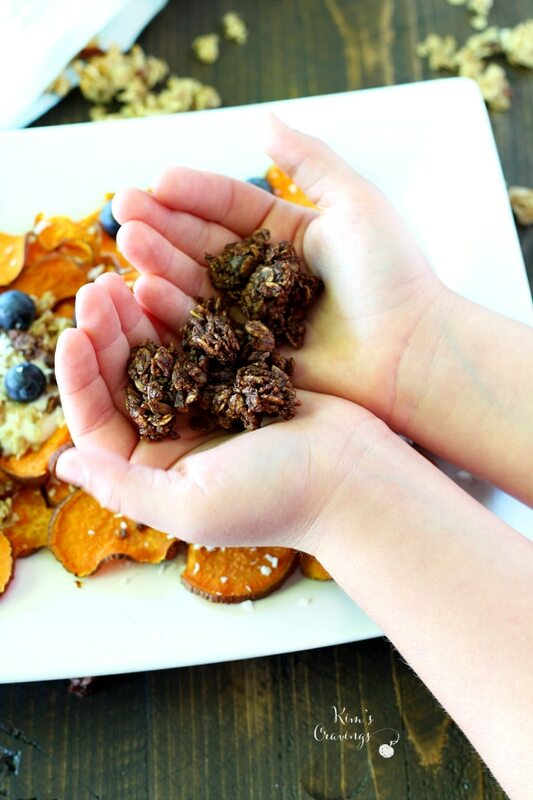 Have you ever tried making crispy sweet potato chips? This looks amazing. 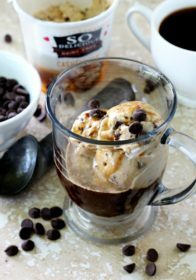 I usually eat a homemade peanut butter bar, but this would be a wonderful weekend treat. Thanks for sharing. 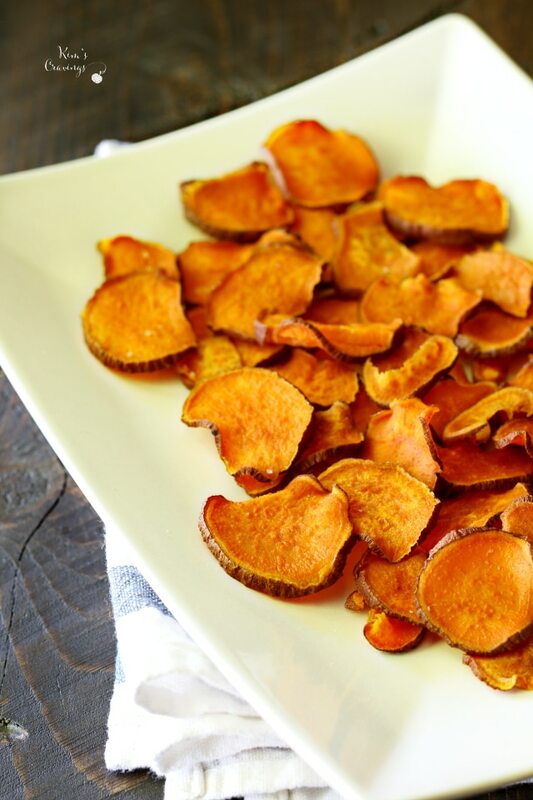 I am a big fan of making my own sweet potato chips! 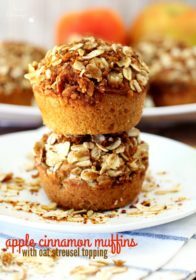 I’ve never thought about using them as a base in a recipe like this though! Sadly most days I do not have time to eat breakfast but I try and bring something into a work as a mid-morning snack which is usually vanilla yogurt and granola. 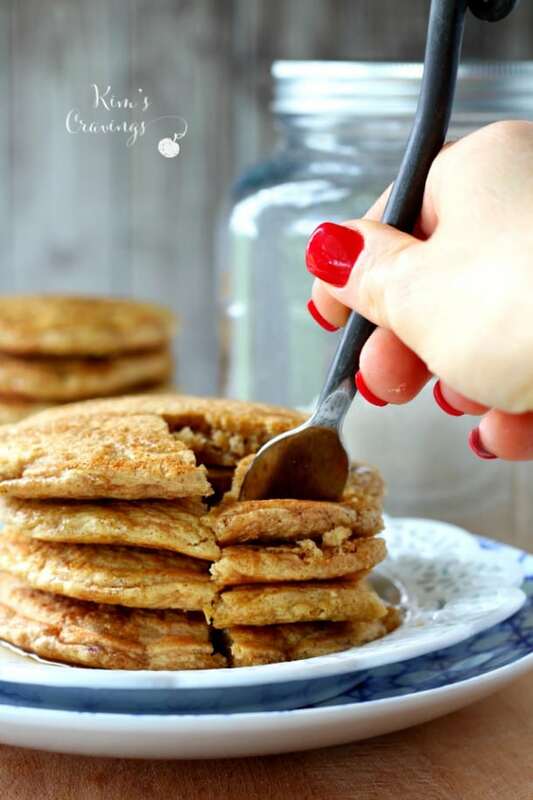 Weekends are a different story and I usually make pancakes for the kids and I love pancakes with honey. I have to admit, I love cheesy scrambled eggs for breakfast with a side of turkey sausage links. A lighter favorite is yogurt loaded with blueberries from the garden and topped with pumpkin seeds and pecans. My favorite breakfast is non fat plain Greek yogurt with some chia seeds mixed in fresh berries usually strawberries and blueberries and a little bit of granola. I eat oatmeal for breakfast every morning. 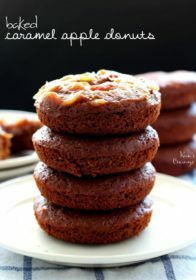 I make them on the cook top and my favorite way to spruce them up is diced apples, raisins, caramelized pecans, cinnamon, nutmeg and maple syrup. I also like bananas with walnuts, dried cranberries, cardamom and honey. Normally I grab some greek vanilla yogurt and throw some nuts or fruit in it but I really like the look of these nachos! Its a fantastic idea!